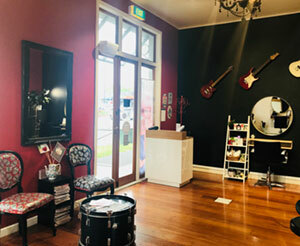 Visit the best Hairdresser for the BEST hair colour in Auckland! We pride ourselves on creating the perfect hair colour and cut that YOU want. We are determined to make Auckland’s hair awesome, one person at a time. 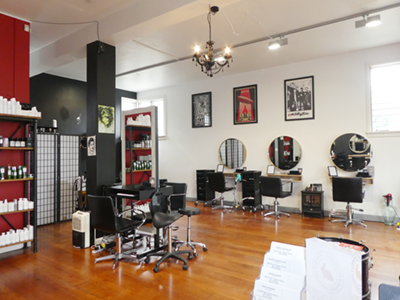 There is no other salon in Mt Eden….or in Auckland like Live & Let Dye! From flamboyant ombre & our signature bright red’s to more subtle balayage, highlights and pastels, we create the best hair colour in Auckland. Live & Let Dye was formed in February 2012 from a passion of hairdressing, creativity and a love of Rock ‘n’ Roll. We love our short, edgy pixies to our long elegant layered cuts, we create the best hair cut to suit you. We believe that healthy hair is the key to beautiful hair so use gentle products to keep the hair in the best possible condition. We don’t believe in damaging the hair just to make it the right colour. We stock a range of natural, organically derived products & holistic products, perfect for sensitive skin for you to take home, so you can recreate the perfect look every day…and we are strictly NO ANIMAL TESTING! Settle in with a nice cup of tea or cappuccino and enjoy the comfort of a unique environment that has a Rock ‘n’ Roll twist, while listening to good music. Having your hair done should be a time to relax and not to be rushed. We even have complimentary chocolate brownie for every client. If your appointment is likely to take more than 3 hours (the big jobs), we may require a non-refundable deposit at the time of booking (which will be taken off your total cost of your appointment, once completed) and will require 48 hours notice of change or cancellation.If 48 hours is not given you will lose your deposit. Also in fairness to other clients, we request that you inform us if you are running late. In busy periods we may not be able to continue your service if you are more than 15 minutes late as we may run late for our next client. Please call us if you think you are going to be late and we can either make arrangements or reschedule you to another time. “In order to be irreplaceable, one must always be different” – Coco Chanel.